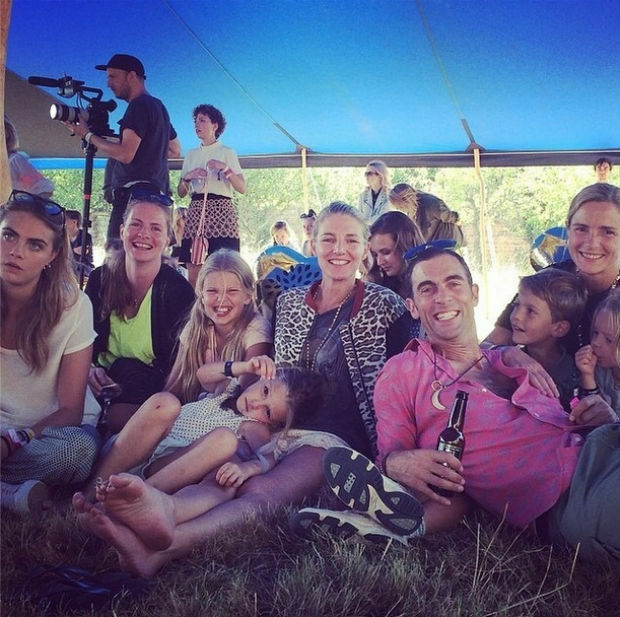 Only Cara Delevingne could get away with holding a picnic to celebrate her close relationship with Mulberry and her upcoming handbag range, but it must be said that the girl does host a good party and definitely did so over the weekend in the heart of the British countryside at Wilderness Festival. Looking her usual relaxed, luxurious self, the model offset her loose, silk jogging pants and white T-shirt with an oxblood Mulberry Cara messenger and round sunglasses decorated with dinosaurs, of course. Whilst the rest of the delightful British revelers enjoyed the likes of Jessie Ware and Metronomy on the main stage of the festival set on the Cornbury Park Estate in Oxfordshire, Cara’s secret garden party was for select guests only who joined her and her amazingly-named Cara-Van to enjoy the halcyon days of summer surrounded by gold balloons and hay bales. 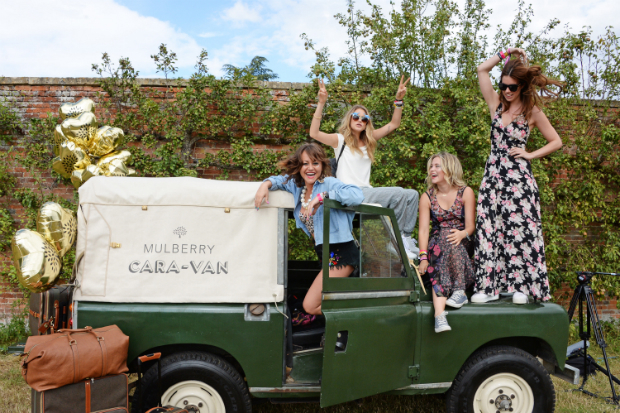 Jaime Winstone, Douglas Booth, Holliday Grainger along with Luke and Harry Treadaway were among the crowd that hung out with Cara and her sister Chloe in their wild open field, littered with flowers and champagne.